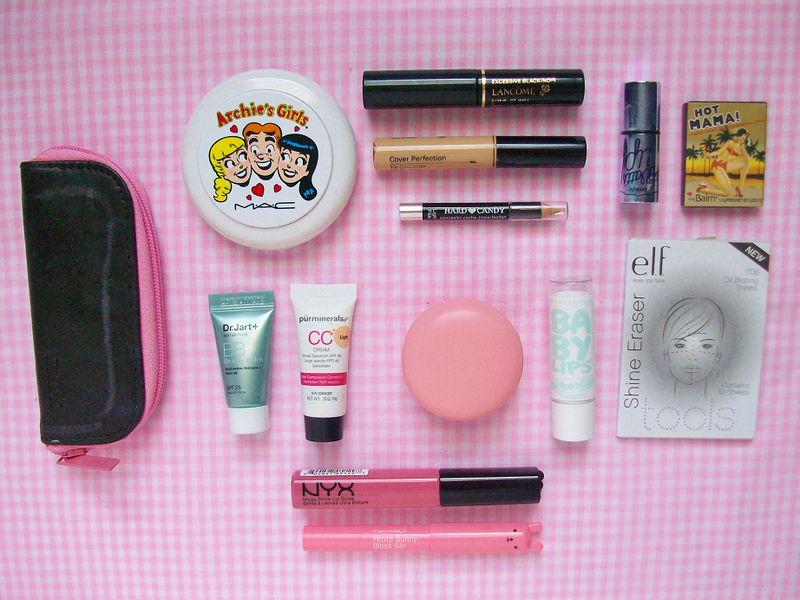 Ever wondered what I carried in my makeup bag? Well you're in luck! 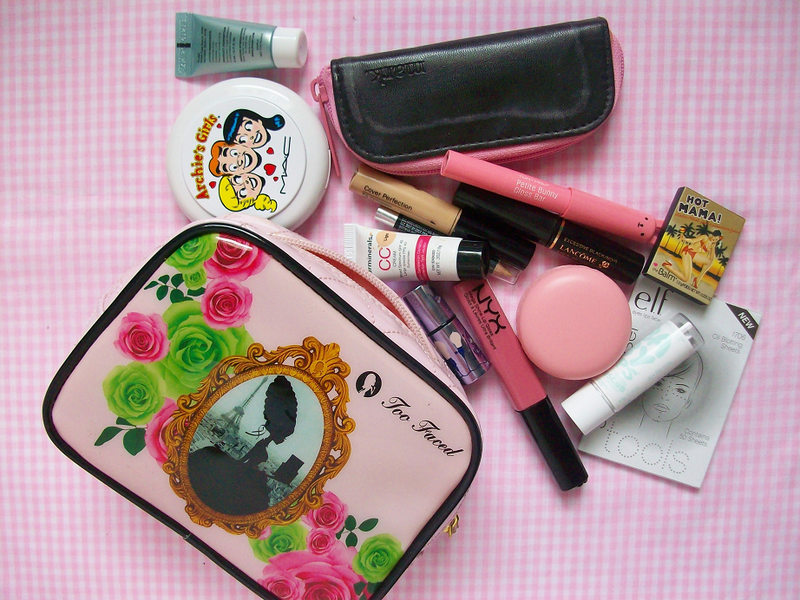 Because today's post is on what I carry in my makeup bag when I'm out and about. Enjoy! 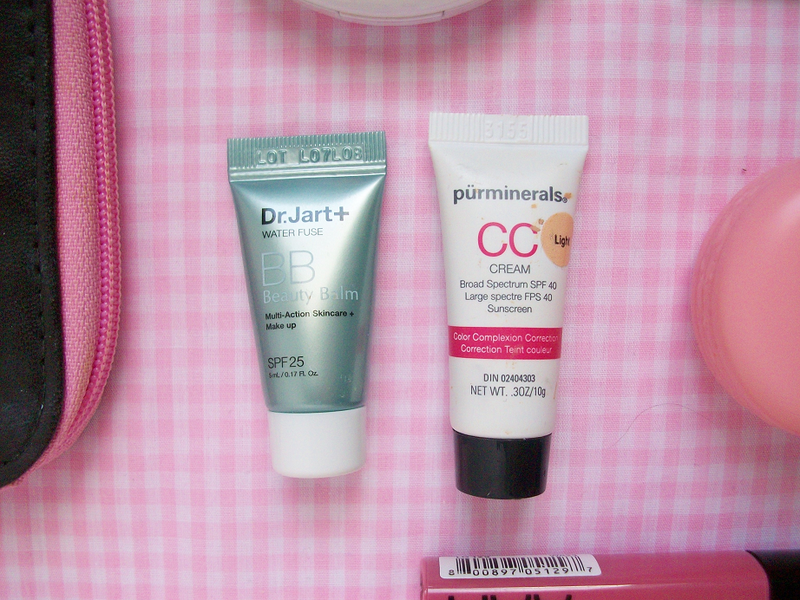 First off, I have these sample size BB and CC creams that I got in my Birchbox from a while ago. 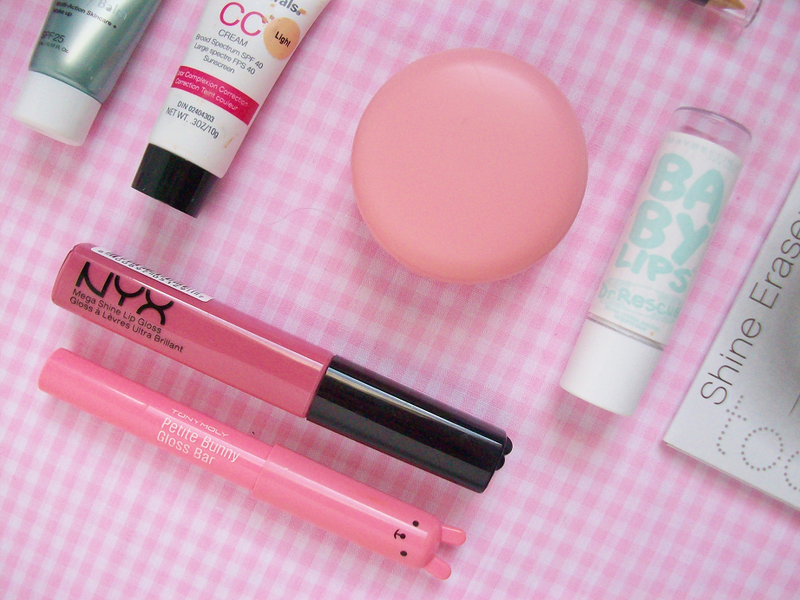 I like to have miniature size products in my makeup bag in case I forget to do my makeup and want to do later. 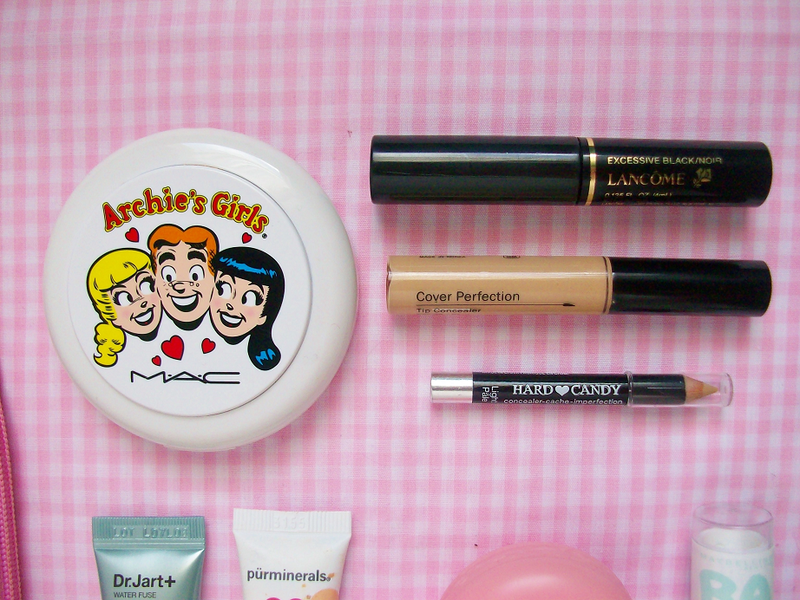 Of course I need a cute compact so I keep my Archie's Girls compact stashed inside. I also have a travel friendly mascara and a few concealers. 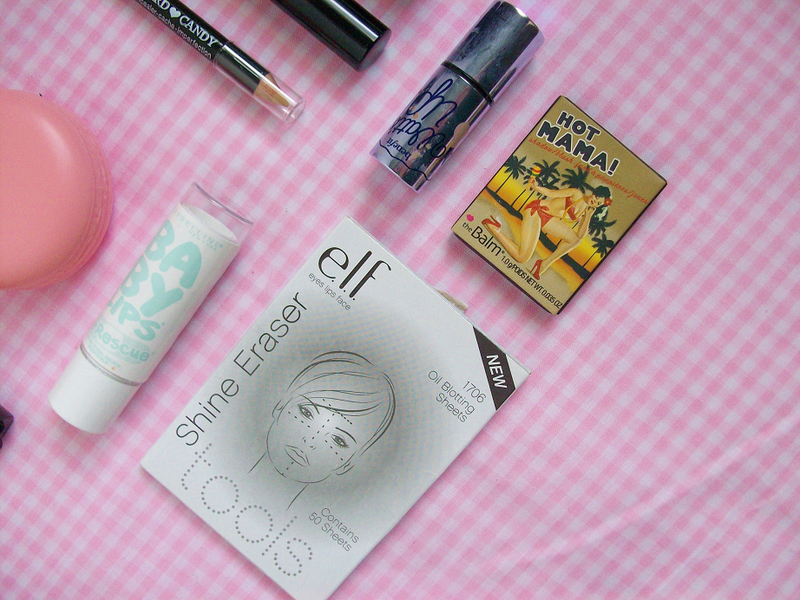 Here are some more sample size products, a highlighter and blush that I double up as a eye shadow sometimes. I always carry a set of blotting sheets with me just in case. 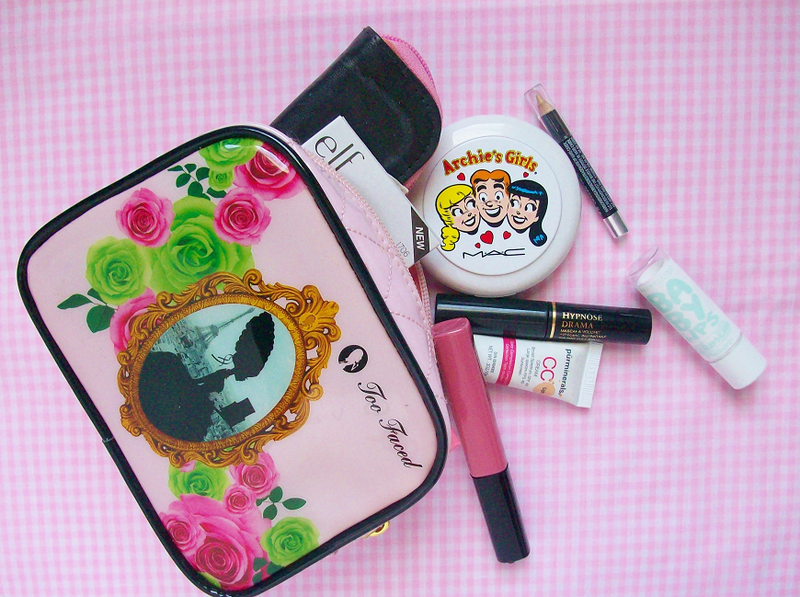 I always hoard loads of different lip products in my bag. These are the ones that I've been using the most. The macaron lip balm is from It's Skin and smells like strawberries! 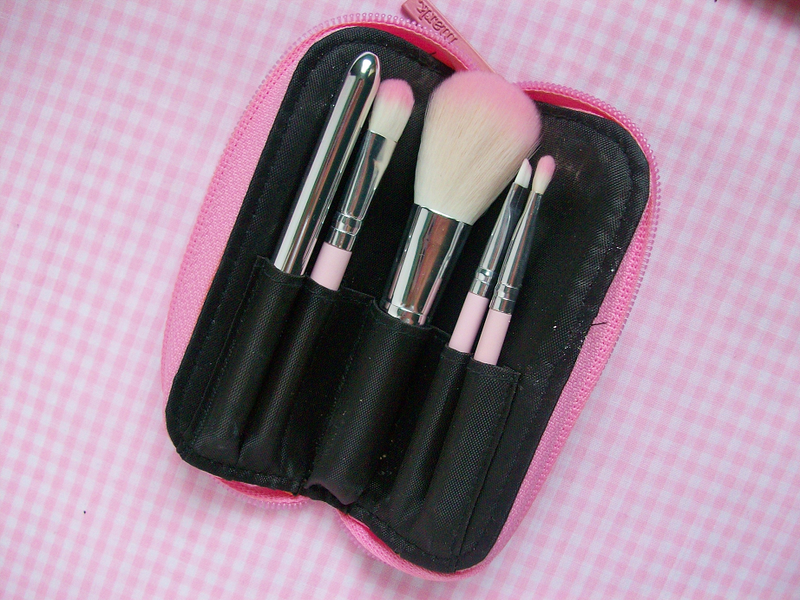 Lastly I keep a mini set of brushes in my makeup bag. These come in handy when I want to touch up on powder or something.